Property 1: Casa Colorado: 2 BED / 1 BATH. Pool! Close to Surf, Yoga, and Town! Property 4: SEA SHACK....the place to. chill. Everything you need & nothing you don't!! Property 9: Sacred Spaces #2: Steps to Beach! Beautiful Balinese Style Home - Sleeps 4 comfortably, Pool! 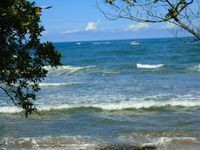 Property 12: perfect for your adventures in Playa Negra! The Beach House "Casa Mango" is just 300 meters from the Pacific Ocean. Property 15: The Beach House "Casa Mango" is just 300 meters from the Pacific Ocean. Property 19: La Casa Bonita pequena and pool,one bedroom cottage fully equipped,best value. 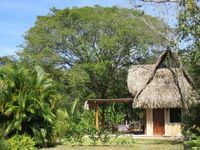 Property 25: Essential Costa Rica, hideaway for Real Nature Lovers! Property 29: perfect for small families, surfers, yogis and couples! Beautiful home away from home in paradise! La Casita is absolutely perfect! It is beautiful and has everything you could possibly need while in Costa Rica! Peter and Erin are the kind and welcoming hosts!! We were so blessed by our time at La Casita and the recommendations of local activities from Peter and Erin were perfect. This place is more beautiful than we can even describe....thank you for sharing your piece of paradise with us!